You really can’t beat this one. It has it all. 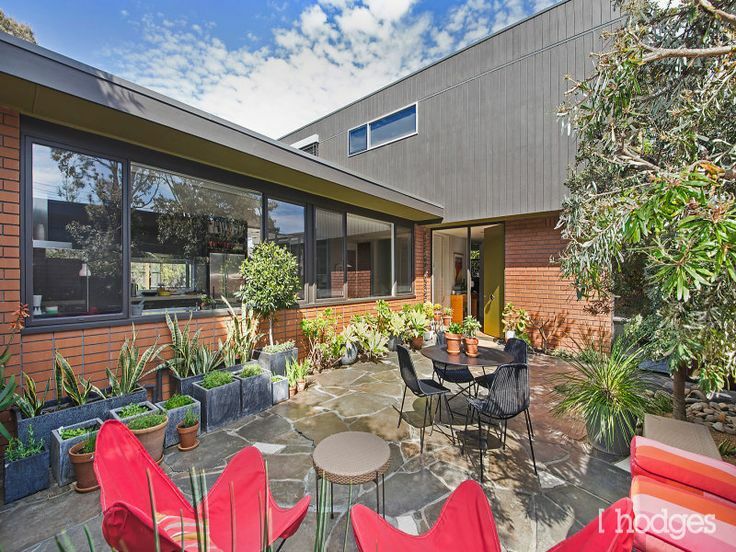 A stunning location in Beaumaris and part of the original 1968 development of Bellaire Court by Max Sachs. 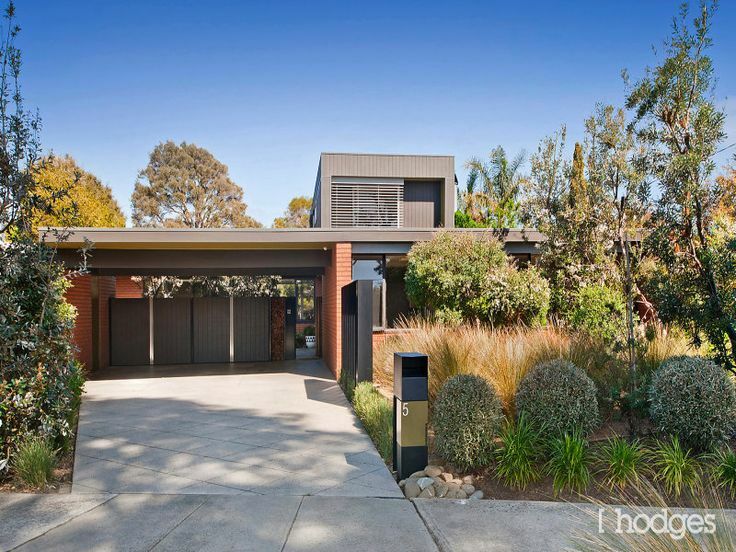 Owners with proven design pedigree resulting in a wonderfully modernist home for today’s lifestyle. Possibly the best example of an Australian modernist landscape. So here you have 5 Bellaire Court! From the street the garden is immaculate and display the possibilities in using local natives such as clipping Correa alba rather than letting in run wild. 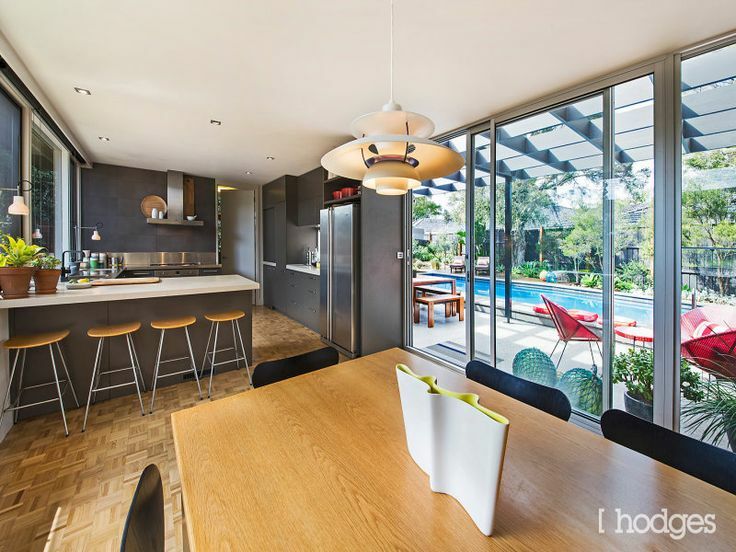 Views of the garden spaces exist throughout the home with the living and dining rooms both opening out to the large outdoor entertaining area and pool deck. Other rooms feature views of courtyards and alcoves that are created through the clever U-shape floorplan which defines bedrooms and living spaces. I love the courtyard entry through the carport. It welcomes visitors into a private area that features random stone pavement and room for an array of potted feature plants. The hero shot of the campaign is looking at the house across the swimming pool. And why not? 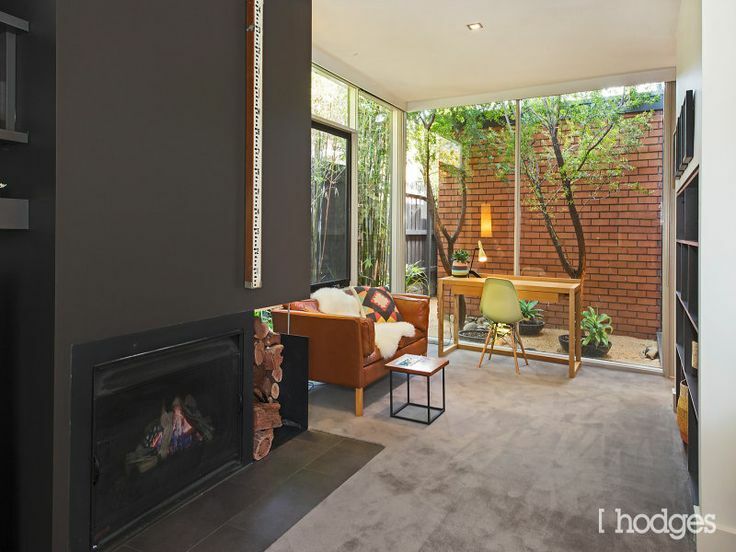 It’s a great representation of the appealing elements of this property! 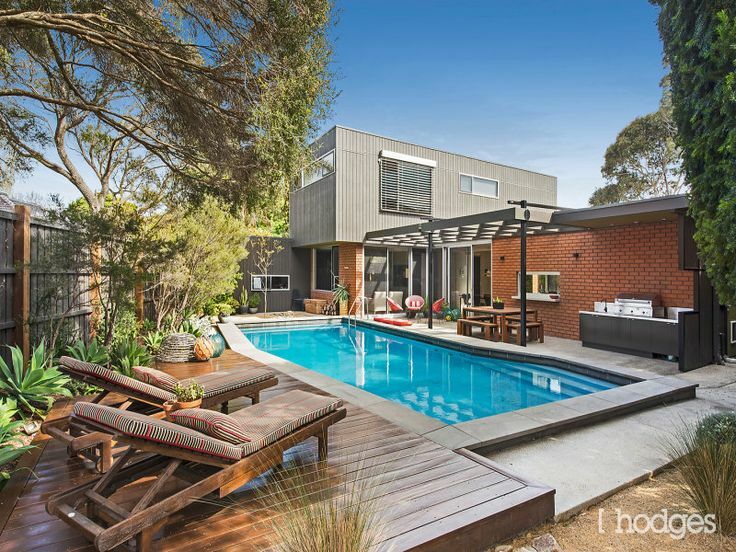 So get on down to the auction TOMORROW for this slice of modernist Beaumaris.